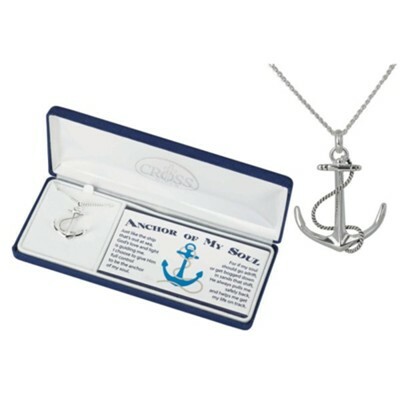 Silver plated anchor pendant with intertwined rope motif; 1" pendant on 24" chain. Presented in fabric gift box with sentiment verse enclosed. I'm the author/artist and I want to review Anchor Necklace.